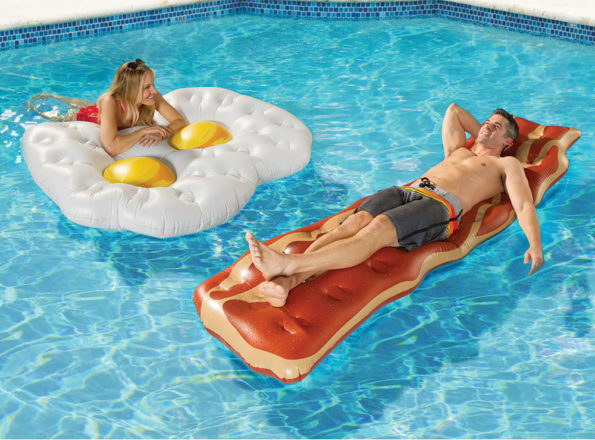 Hammacher Schlemmer is selling these Eggs and Bacon Pool Floats for $80. Forget the pizza, the swans both pink and white, and whatever other pool floats are on trend at the mome (that’s shorthand for “moment,” which, on second thought, is not really shorthand if I have to explain it). 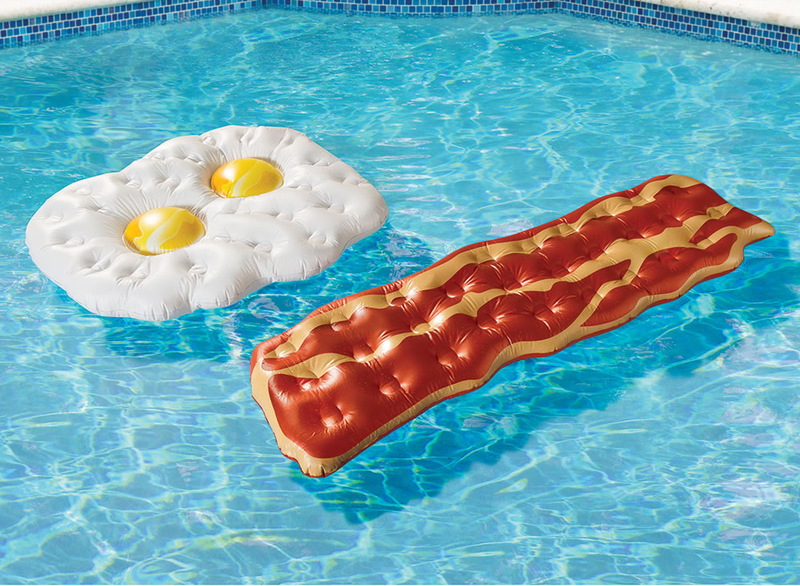 Breakfast is the most important meal of the day and G-D it if that shouldn’t be reflected by the floats that we float on in the pool. Tell me I’m wrong! !